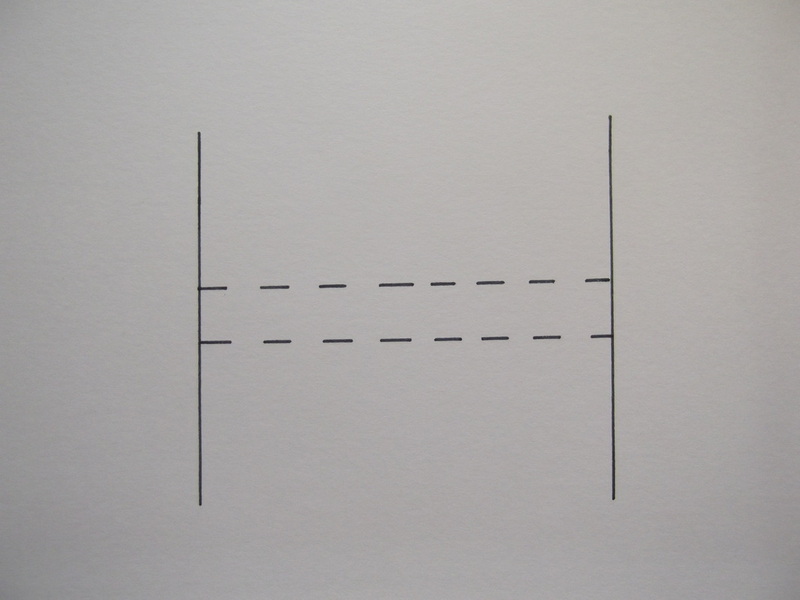 To draw Horizontal lines, make sure you place the stock of the t-square up against the edge of your drawing board. Make sure you place your left hand on the stock of the t-square this insures that the t-square remains in against the board. You can then draw the line from left to right with your right hand. To draw vertical lines on your sheet, place the set square up against the blade of the t-square and ensure the stock of the t-square is against the drawing board. Your left hand should be placed on the blade of the t-square and the set square in order to keep both in position and steady. Draw the line from top to bottom with your right hand. Lines going in the same direction and the same angle are called parallel lines. Shown on the left is a video on how to construct parallel lines. Shown on the left is a video on how to construct a perpendicular line to an already existing a line. 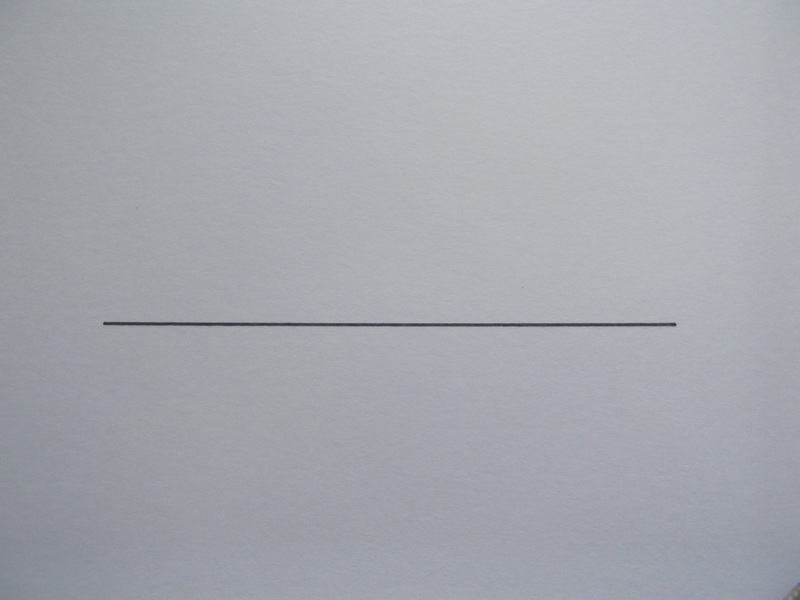 Construction Lines are lines used for constructing your drawing. These lines are drawn by leaning on the pencil very light. The image on the left shows a construction line. They should barely be seen on your drawing and definitely shouldn't be seen if the drawing was placed on a wall for show. 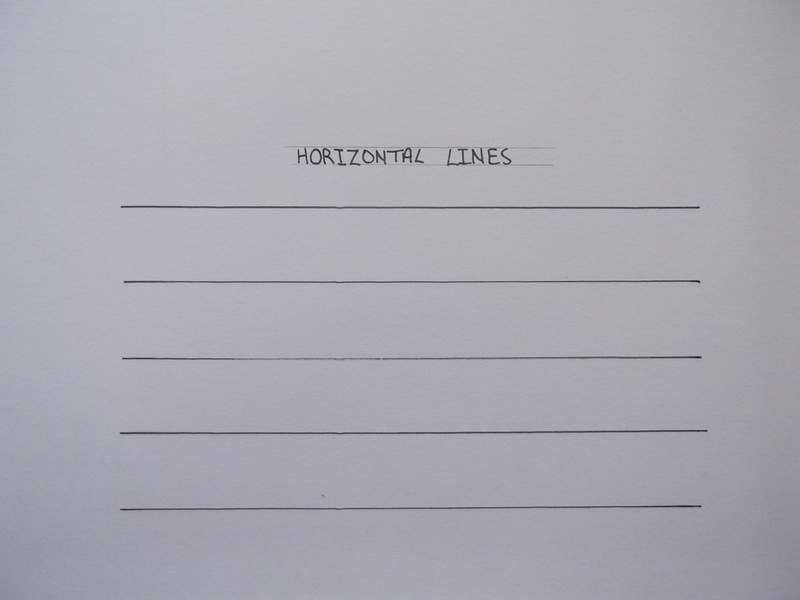 Heavy Lines are lines used to show the outline of the object you are drawing. 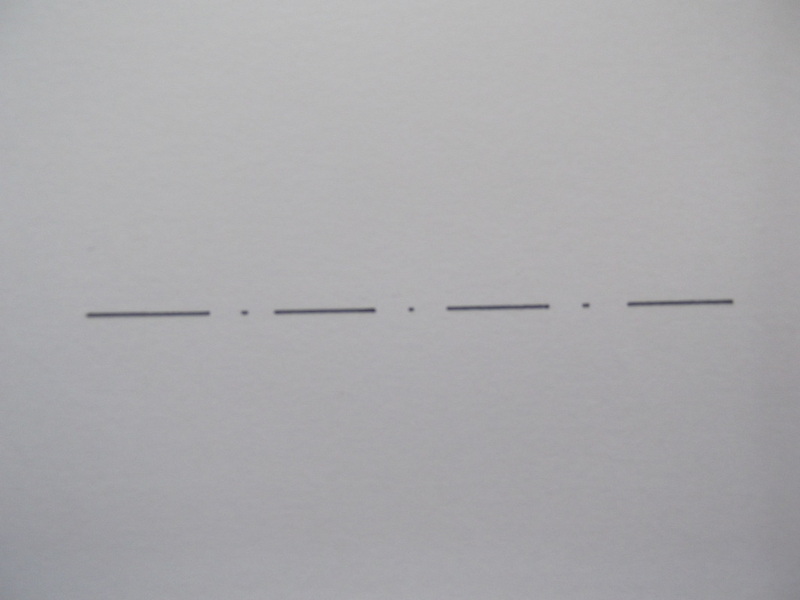 There are represented by a continuous heavy line. 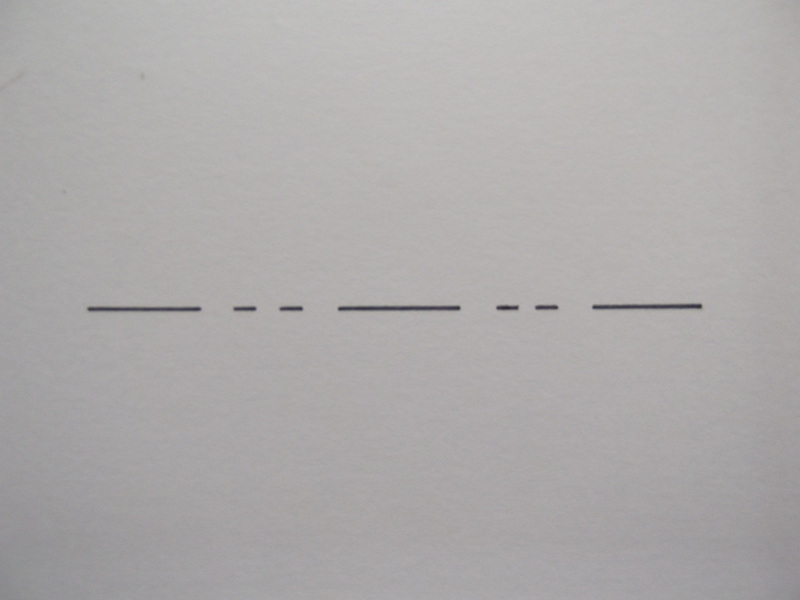 These lines are drawn by leaning on your pencil a lot harder than when drawing construction lines but not hard enough to crack the pencil point. There should be a clear difference in line thickness between heavy lines and construction lines. Shown on the left is a heavy line. Fold Lines are lines used to represent an object flattened out into a 2D shape, the bend lines are represented by long line and two short dashed line and then a long line again as shown on the left. You should make the line so that end of the line ends with the long dash on both ends. Centre Lines are lines to represent the axis of a conical shape such as a cylinder or cone. It is represented with a long dash, a small dash and a long dash again as shown on the left hand side. It is not to be confused with a fold line.